Just Forgetful, or Is It Dementia? Everyone becomes forgetful from time to time: forgetting where you placed the car keys, not remembering to pick up an item at the grocery store, forgetting to return a friend’s phone call. And as we age, most of us become increasingly forgetful. At least half of those over age 65 say that they are more forgetful than they were when they were younger, experiencing “senior moments” about things like where they put things or recalling somebody’s name. But when does an ordinary memory lapse indicate something more serious, like early Alzheimer’s disease or another form of dementia? Can you brush it off as “just being forgetful,” or might it be mild cognitive impairment, a more pronounced form of memory loss that sometimes precedes dementia? “We now know the early warning signs of Alzheimer’s disease can begin some 15 years before symptoms of mild cognitive impairment, or long before the beginning signs of a dementia surface,” said Dr. Barry Reisberg, director of the Fisher Alzheimer’s Disease Education and Resources Program at New York University Langone Medical Center. Because the onset of dementia can be so insidious, forgetfulness and other symptoms may develop over a period of many years. Increasingly, research indicates that feeling you are forgetful may be cause for concern. A study conducted by Dr. Reisberg and colleagues found that seniors with subjective memory complaints are, over many years, 4.5 times more likely to develop mild cognitive impairment or dementia than those who do not have such memory complaints. That’s one reason why it’s important to pay attention for signs of being forgetful, and to seek medical attention about early signs of dementia and a possible dementia evaluation and work-up. In order to distinguish the ordinary forgetfulness that comes with aging from more serious problems like Alzheimer’s disease, it helps to consider some key symptoms of mild cognitive impairment and the early stages of dementia. Forgetting a friend’s name or not remembering a lunch date is something that most people without dementia do from time to time. Someone with early dementia, though, might repeatedly forget names or plans, and forget all about the incident soon afterward. Curiously, while someone with early dementia may forget something that happened the previous evening, they may recall in detail events that happened in the more distant past, last year, say, or during their childhood. At these early stages of dementia, family members, friends and colleagues may begin to notice that something seems wrong. Maybe your spouse or partner complains that you are forgetting social engagements at an increasing rate, or that you repeat questions often. Maybe colleagues at work have expressed concern when you forget to attend a meeting or send an important memo, or are unable to learn a new computer program. Such situations may, understandably, trigger feelings of anger and defensiveness. They can also produce anxiety, which can in turn make anyone even more forgetful. The anxiety may be particularly pronounced in someone in the early stages of dementia. In addition to being forgetful, those in the early stages of dementia may also have problems with judgment and planning. Someone with early dementia might, for example, become distracted in preparing a recipe or forget the rules of a card game. People with dementia are also much more likely to have traffic accidents than those who do not have dementia. And while many of us are challenged when it comes to finances, someone with early dementia may find it impossible to do everyday chores, like balancing a checkbook, that they used to find easy. As dementia progresses, people get even more forgetful. Someone with dementia might, for example, get lost in the neighborhood when driving home from the grocery store or forget what day it is. Those with dementia may forget simple words or replace them with strange substitutes, making them difficult to understand. Someone with dementia might also misplace things, like placing a cell phone in the refrigerator, or get confused while getting dressed. These behaviors are not common in someone without dementia. Unusual changes in personality can also occur, like showing bursts of anger for no reason, becoming depressed or confused, or uncharacteristically clinging to a family member. And while many of us plop down on the couch to watch TV after a long day at work, someone with dementia may show little or no initiative in reaching out to friends and stare at the TV for hours or sleep all day. 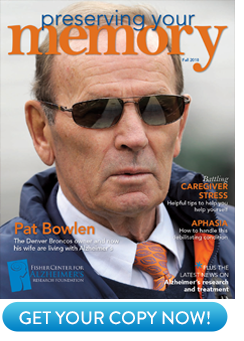 While most people who are forgetful don’t have dementia, a professional assessment can aid families in determining if this is forgetfulness or possible dementia. 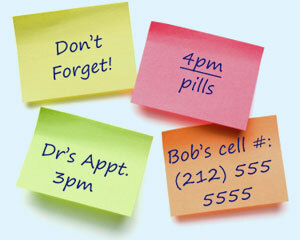 In some cases, medications or other environmental factors may be contributing to somebody becoming forgetful. Dosages can be adjusted, or new treatments prescribed, to ease the memory problems. 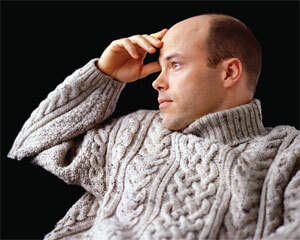 Medical and mental health conditions, like depression or a deficiency in vitamin B12, can also make someone forgetful. These conditions are treatable and reversible. Even if the diagnosis is Alzheimer’s disease or another form of dementia, steps can be taken to improve quality of life. Counseling, for example, can help the person who has early dementia to assess situations like whether the patient should stay in his or her job. Taking steps like early retirement may ease anxiety and improve day-to-day functioning. Medications to ease symptoms can also be prescribed, and may be most effective, during the early stages of dementia and families can take the necessary legal and financial steps to plan more effectively for the future.